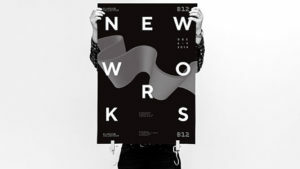 New Works is a selection of recent projects from Blueroom Collective, featuring an eclectic mix of experimental typography across a range of media including print, digital, experiential, 3D, textiles and light. This will be our first full exhibition since moving to Studio B12 at St Margaret’s House. The show also features a guest contribution from graphic artist and cult author Richard Littler, creator of Scarfolk. New Works runs from Friday 7th through to Sunday 9th December and entry each day is free. The opening night event on Thursday 6th has an entry fee of £4 and will include sounds, refreshments and a selection of prints for sale. Click here for tickets.